Once there was a young man who wasn’t crazy. In fact, many people often relied on his not-craziness to take care of things they didn’t want to do–things like giving money to a homeless man on Santa Monica, or holding their own children. Still, he was a happy young man: confident, clean, and most of all, not crazy. Then one late afternoon, around five o’clock, the young man lost it. And by “it,” I mean the not crazy. The whole thing started because he was hungry, and his mind began wandering to places of the edible kind in hopes of conjuring the perfect feast for that evening’s dinner. What would it be? The possibilities were endless! He could make cheeseburgers, or tacos, homemade pizzas, chicken alfredo. No. Wait. Enchiladas! Perfect!! Now, of course, that means he’d have to run by the grocery store before going home. After all, he was out of tortillas, and you certainly can’t make a decent enchilada without cilantro and sour cream. But, hold on– What if the grocery store closed early that day? Or worse, what if the grocery store randomly ran out of food? Or more likely, what if there was traffic? What if he’d never even make it there? WHAT IF THE ENCHILADAS DIDN’T HAPPEN!? These questions continued to circle around and around the young man’s head until finally, when he couldn’t take it anymore, he decided it would just be safer to not be hungry. The End. Hi, everybody! 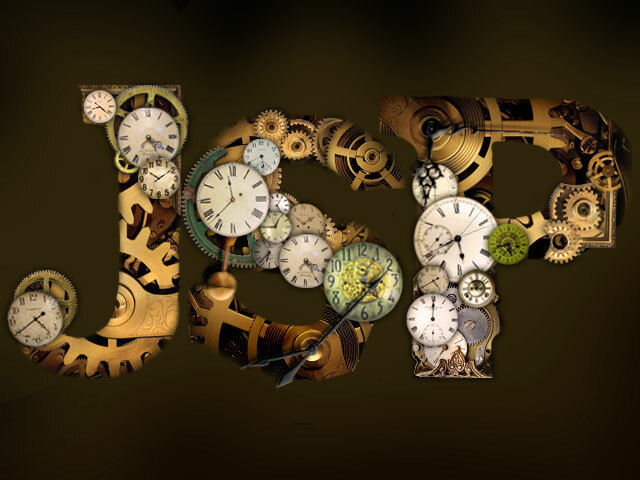 It’s JSP. The story I have just shared is not a true one, but it serves as a diving board for the pool of thought I have chosen to swim in this month. The not crazy young man is me. And my dinner? Well, that’s a metaphor for my future. You see, I find I consistently struggle to talk about the horizons of my life. Ranging from career opportunities, like upcoming auditions, to relationships, I’m never quite sure if I should share which possibilities I’m hoping might work out. Why? Because the enchiladas might not happen. I’m fully aware of how ridiculous that principle sounds. I mean, I had to write an allegory to even introduce the darn thing! Still, it continues to be something I haven’t been able to break. And it’s not that I’m pessimistic. On the contrary, I’d like to believe I live with a considerable amount of hope. It’s just, well… should I really bother to mention a first audition if at least two callbacks are required before there’s anything newsworthy? I think what it all comes down to is expectations. So is it really fair to create expectations? For yourself? For others? Maybe just not for actors. I mean “the actor life” does seem to create more opportunities for shattered expectations. Still, wouldn’t it be better to just take life as it comes? That way, we’d free ourselves from any unwanted or unneeded pressure. Instead, we’d relax! And then it would be easier to receive all the new things that life might put in our path. Sister is talkin’ my language! Truthfully, that line makes my heart sink a little. There’s a sense of fatigue in it, or worse, defeat. And besides, wouldn’t its opposite also need to be true in order to test its validity: “If you have no expectations, you can never have satisfaction.” Well, what would life be with neither disappointments nor satisfactions? What would be left? Seconds, minutes, hours… Life would be nothing more than time. So if we’re actually in charge of our concept of time, then why do we always feel like slaves to it? The truth is we have complete control over how we view time. And actually, because of that, we also have complete control over how we view the expectation of it. Then what should we do with our time? Do we allow it to just happen? As I alluded to earlier, I think life would be less stressful that way. But with our relatively short time on planet Earth, there’s got to be something better. After a lot of thinking, I’ve come to believe that the best way to fill our time is by wanting the very best. And the most powerful means of wanting the best is by trusting that there’s every reason the very best should happen. In other words, and hold on here, maybe we should expect it. Yeah, yeah, I know, I’ve changed my mind. But expecting the best doesn’t mean that everything will go exactly as we think it should. Expecting the best requires us to be willing to give up what we assume the best might look like. Our best, someone else’s best, and anything else that may be a product of our expectations can materialize in any given form. The important thing to remember is it will never be “our best” unless we recognize it as such. And when we keep that in mind, our time truly becomes our own. What should we expect while we’re expecting? Life. The best version of it. And though I don’t really know what that will continue to look like, I’ll try to let it be known a little more often.